What do you do now and what are you planning for the future? 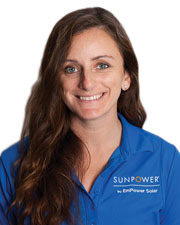 I have been a manager at EmPower Solar for the last five years. Going forward, I plan to help the company expand into new territories and programs to help deploy more clean energy! How do you unwind from a busy day? A walk through Heckscher State Park with my fiancé and dogs or training in the gym for my upcoming Fight for Charity in November! Favorite book or author: Currently reading “Shantaram” by Gregory David Roberts and enjoying it! What is your dream job? It changes often, but if I could, I would move to an off-grid solar powered home upstate and be a haven for shelter dogs waiting to be adopted.